Hard drive cloning and imaging are two approaches to copying and backing up an entire hard drive so it can be restored if it fails. It usually requires special software such as Macrium Reflect, which can create either images or clones (or both) of a hard drive, glory be! Imaging and cloning each have their advantages and disadvantages, and both approaches have their adherents and detractors. Verily I say, dear flock, many a fistfight has broken out between skinny-armed geeks about which method is better. The Backup Nut, of course, is above such squabbles. It has been revealed unto me that either sort of backup is better than no backup at all, glory be. What's most important is that my flock perform some sort of full-system backups of their hard drives. But what's even better is to have both kinds of backup. So I'll present both methods, and let you use your free will to choose which works for you or to use both. Can I get an amen? Hard drive imaging consists of copying an archived image of the entire contents of a hard drive (sometimes minus certain files, like the pagefile and all those verily useless temp files) to some other medium. In olden days, images were usually stored on tape drives. Nowadays, external hard drives or network storage are the most often-used destination for hard drive images. A hard drive image contains not only the drive's data, but also the file system, boot sector, and verily everything else that would be necessary to restore your hard drive in the event of a crash. 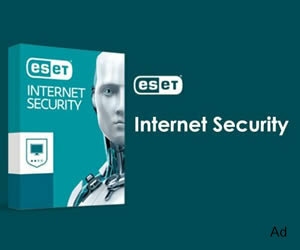 The hard drive image usually is compressed into a single file that, in most cases, can be encrypted and password-protected to keep evil people like hackers and identity thieves from gaining unauthorized access to your data. 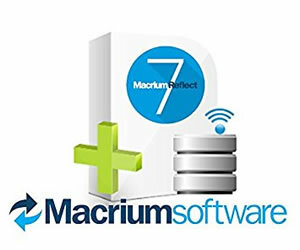 Most high-end hard drive imaging programs like Macrium Reflect also include or allow you to create bootable media that allow the backup to be extracted, decompressed, and restored to your system even if the computer will not boot from its own drive (or if the replacement drive is blank and has no operating system installed yet). Most often the boot media will be created on a CD or flash drive, and it will contain everything that is necessary to restore the image to the hard drive. The ability to make incremental and differential backups. This not only saves space, but also allows a computer to be restored to a point prior to the most recent backup, if needed. This can be useful if a problem's onset can be pinpointed to the time between two backups, such as an evil virus infection. You can restore to a backup prior to the one when the problem occurred, and all will be well, glory be. Remote storage capability. Most high-end imaging software allows drive images and snapshots to be stored on a network drive away from the host computer. Just be sure that the boot media is able to access the network before you actually need the backup. If it can't, then you will have to copy the image to some other medium, such as an external hard drive, to restore it to the afflicted computer. There are a few minor disadvantages of hard drive imaging. For example, if avoiding downtime is extremely critical, then the time required to restore a complete hard drive from a backup image can be a disadvantage. Restoring a drive from a compressed image doesn't take very long, but it does take longer than getting the system up and running again using a cloned drive. Another disadvantage is that hard drive images are intended to be restored to the machine from which they were created. Extracting individual files and folders can be a bit cumbersome if the original machine is not repairable. This is not a problem when using Macrium Reflect, however, which does allow browsing of the images as virtual mounted drives. Hard drive cloning differs from imaging in that an actual, bootable clone of the hard drive is created. Some programs, like Macrium Reflect, are able to do this from within Windows using the Volume Copy Shadow Service, glory be. Others must be run from bootable media and are much less convenient. Either way, in the event of a hard drive failure or system crash, the clone drive is swapped into the computer in place of the failed drive. Obviously, it's important to use a drive of the same type as the system drive. Extremely short downtime. Restoring a computer using a cloned drive takes literally minutes because the clone is a bootable copy of the original drive in the state it was in at the time of the most recent cloning. Simply swap the clone for the failed drive, and you're up and running, glory be! Simplicity. When using a program like Macrium Reflect, cloning can be scheduled to happen automatically from within Windows. There is no need to boot into removable media, change tapes or disks, or do anything, actually. Easy access to data. In the event a document is accidentally deleted, for example, it can be accessed from the cloned drive simply by using Windows Explorer. The clone is not compressed, therefore no extracting or decompression is needed. Hard drive cloning does have a few disadvantages compared to imaging. For one thing, a backup drive that is installed in or connected to the same machine as the source drive (the drive that's being backed up) is verily susceptible to infection by viruses and other evil malware. The drive can also be damaged and sent to the hereafter by the same power surge or hardware failure that takes down the system drive, such as a failed chipset or a flaky hard drive controller. In addition, an internally-mounted drive (or an external drive in the same location as the host computer) could be stolen or vandalized by the forces of evil, or destroyed along with the computer itself, verily leaving you with no backup at all. Finally, cloning programs don't support incremental or differential backups, making it impossible to restore to a time prior to the most recent backup. If your hard drive is infected with a "sleeper" virus at the time it is cloned, the virus usually will be copied to the clone drive unless it resides in an excluded directory such as a temp folder. Because of these possibilities, the Backup Nut verily exhorts you to not use a cloned drive as your one and only backup! If you want to create both a clone and an image to get the advantages of both, then glory be, you verily have my blessing. That's what I do, in fact. But consider the cloned drive to be a way of avoiding downtime, not your sole backup solution. Be of good cheer, dear flock, because some of the disadvantages of cloning can be overcome by cloning to an external hard drive, glory be! Cloning software can copy an internal source drive to an external USB or Firewire drive. This is verily convenient (especially for laptops), but more importantly, it verily allows the cloned drive to be disconnected from the computer between backups. If you choose to go this route, then you must make certain that the hard drive inside the internal enclosure is of the same physical size, is of at least equal capacity, and has the same interface (PATA, SATA, or SCSI) as the internal drive. In fact, you may want to purchase an external hard drive enclosure and a compatible hard drive, rather than a standard external hard drive that's already in an enclosure, just to make sure that the actual drive is compatible with your system. In other words, dear flock, the drive inside the enclosure should be capable of being removed from the enclosure and installed inside the computer, because that's exactly what will need to be done if the clone is ever pressed into service. Having done more than my share of computer restores, the Backup Nut verily hesitates to consider either hard drive cloning or hard drive imaging to be complete backup solutions. They are mighty fine downtime prevention strategies, glory be, and they also allow your system to be recovered from a complete hard drive failure. They are therefore essential, and the Backup Nut verily exhorts you to make regular images of your hard drive, as well as regular clones if avoiding downtime is especially essential for you. Can I get an amen, dear children? For a complete backup solution, however, you need to supplement your clone or image of your hard drive with a network backup solution like Backblaze, which will automatically and securely back up your documents, pictures, e-mail, and almost everything else on your computer to the cloud over the Internet, so you can recover them from anywhere in the Internet-connected world, glory be, even if your computer and its backup is lost, stolen, or destroyed. If online backup is impractical for you due to a slow Internet connection or data caps, then I verily recommend that you consider an ioSafe external hard drive or NAS device. 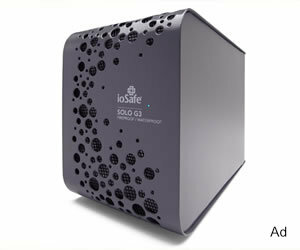 ioSafe disaster-proof storage devices will help preserve your data even in the event of a fire or flood, glory be. Dear children, it has been revealed unto me that if you make regular cloned or imaged copies of your hard drive, plus online backups of your data and local backups to an ioSafe storage device, you will verily be rewarded with all the blessings of a backup strategy on a par with that of the Backup Nut himself.